The European season takes a short break this weekend for the paddock to travel across the Atlantic for round seven of the championship, the Formula 1 Grand Prix du Canada 2014 at Montreal. The first race hosted in Montreal back in 1978 was won by the man after whom the circuit is now named. Gilles Villeneuve is the only Canadian driver to win on home soil while his son, Jacques, is the only other Canadian to reach the podium in Canada, in 1996. The Circuit Gilles Villeneuve is a combination of a street and permanent circuit which features four high speed stretches, two slow turns and three ideal spots for overtaking. The track layout and its alternation between long straights and low speed corners require a high top speed as well as braking stability, quick change of direction and a smooth set-up for riding of the kerbs. No other circuit on the Formula One calendar has higher demands on brakes than Montreal. The track is also demanding for the power unit, but not a particularly severe one for the gearbox. 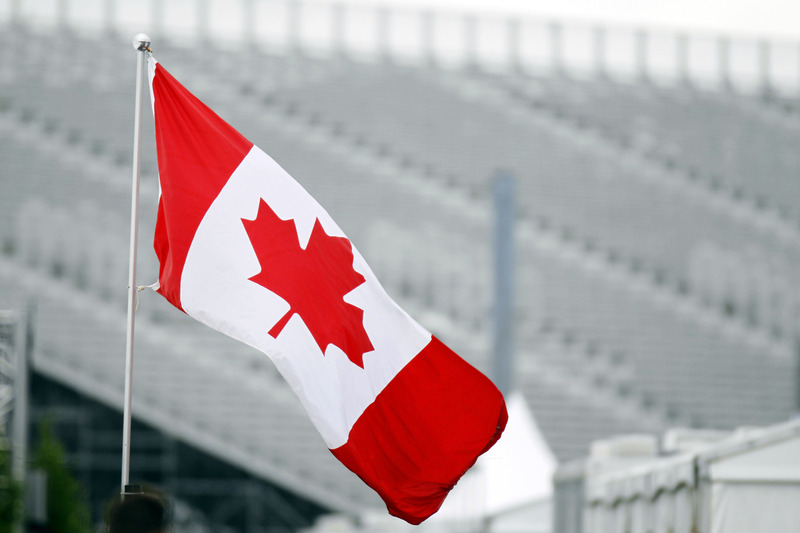 "Canada is a very demanding high-speed racing track, which is surrounded by rails and concrete walls. There is definitely a high risk potential, especially in Turn 15, where you will soon get to know the notorious 'Wall of Fame' should you be driving a few centimetres too far to the right. The first danger zone is already at the start. In the very narrow right-left passage, it's all about avoiding contact with the other cars, otherwise there will be a crash. It is not uncommon for the safety car to make an appearance at the Canadian Grand Prix," says Red Bull’s Sebastian Vettel. His team-mate, Daniel Ricciardo believes each of the chicanes is an opportunity to make up, or lose, time. "The crucial corner is probably the last one: you arrive at top speed so there's a lot to be gained in braking if you get that just right, and then the way you go over the kerbs is worth more time. The flip side is that it's very easy to get wrong and if you do then there's that big wall waiting. It's a clear choice: some guys will play it safe and sacrifice half a tenth to get through there cleanly; others who will take a risk and go flat out trying to find a little bit. The nearer you are, the faster you'll go. Give the wall a kiss and you feel pretty good; kiss it too hard and that's it!" At the previous race in Monaco teams were hoping for a better opportunity to get closer to Mercedes but the outcome of the race proved the gap is just too big for anyone to stand a chance. We had a clear one-two finish for Mercedes with only four cars in the same lap despite two safety car periods. Nico Rosberg won the race and broke Lewis Hamilton’s momentum, taking the lead again in the World Championship. No one on the grid lacks motivation this weekend but Hamilton arrives in Montreal with maybe a higher determination than anyone else as this is the place where he won his first Grand Prix back in 2007. Historically, the Canadian GP produces unexpected results and the weather can always play a key role. With the track surface being very smooth at Montreal, Pirelli has chosen soft and supersoft tyres for this race. The two compounds should lead to a good mechanical grip, very much needed in Montreal. How the tyres perform under both cold and hot conditions will be the focus throughout the three practice sessions as they could suffer from heating issues or degradation. There will be two DRS zones in Canada - the back straight and the start/finish straight - with a single detection point located right after turn nine. Derek Daly will be the FIA driver steward this weekend. 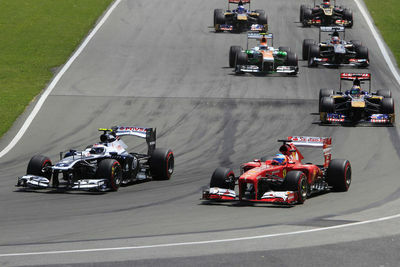 Mercedes arrives in Montreal with five consecutive one-two finishes and six straight wins. Ferrari now has 73 consecutive races in the points and Max Chilton reached 25 consecutive classified finishes. Ayrton Senna in 1990 is the only driver who has ever won both Monaco and Canada from the 17 occasions when the two GP have been held consecutively. 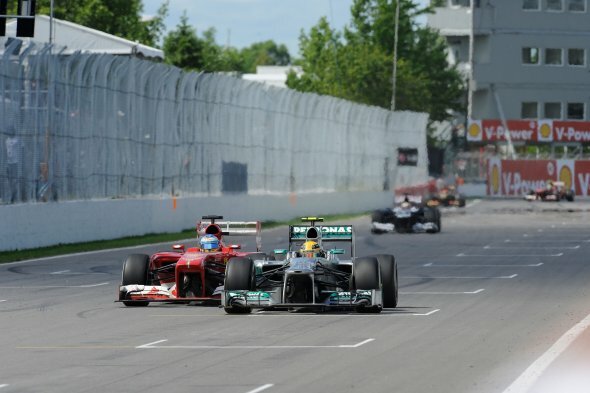 Seven of the last 13 races in Montreal required at least one safety car appearance. The 2011 Canadian GP holds the record for the most appearances of the safety car (six) as well as for the longest race in the history of the Formula One. The race lasted for more than four hours due to a two-hour suspension because of heavy rain. Jenson Button and Fernando Alonso are the most experienced drivers on the grid, with up to ten appearances at Montreal. From 34 races in Montreal, 15 were won from pole position. 10th place was the lowest winning grid position here and was achieved by Jacques Laffite in 1981.